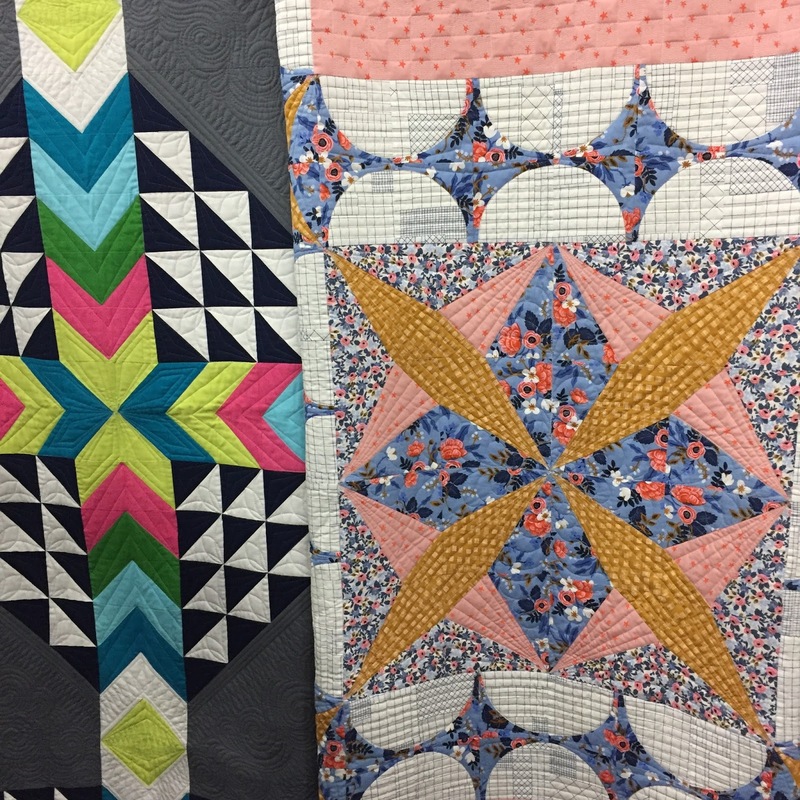 Lucky Spool has beautiful quilt books which they often introduce at Quilt Market. 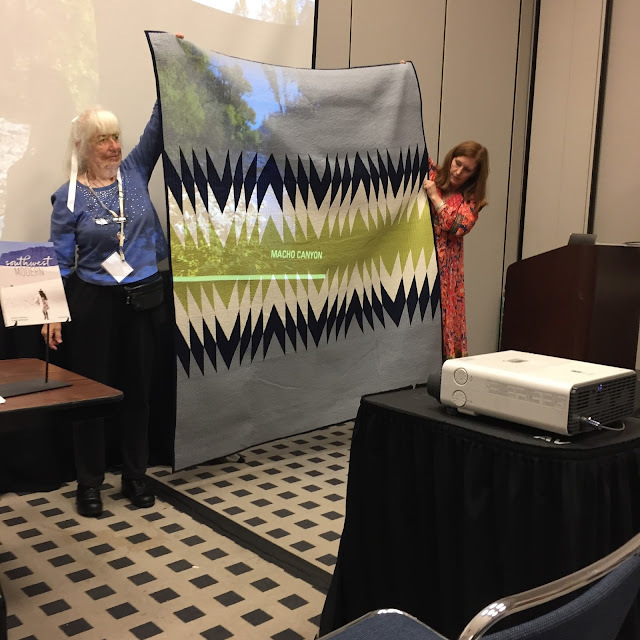 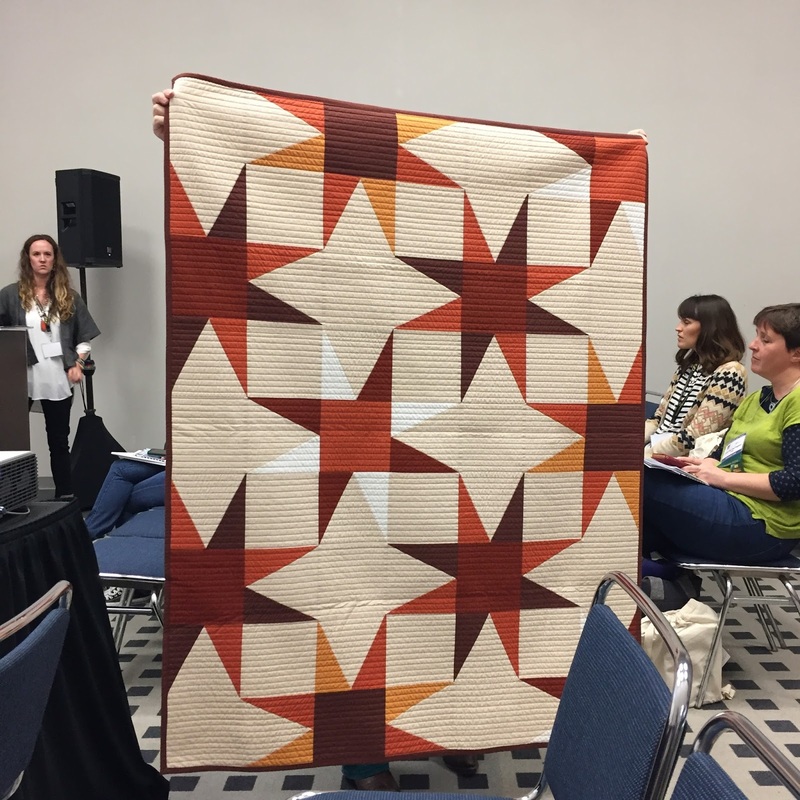 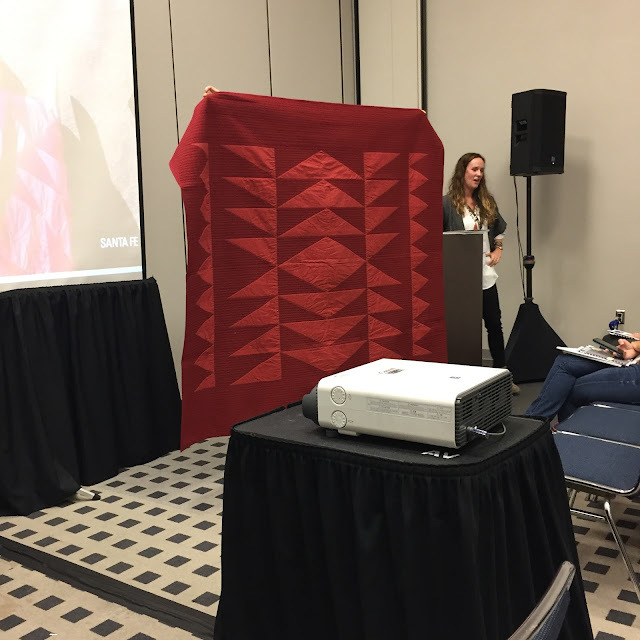 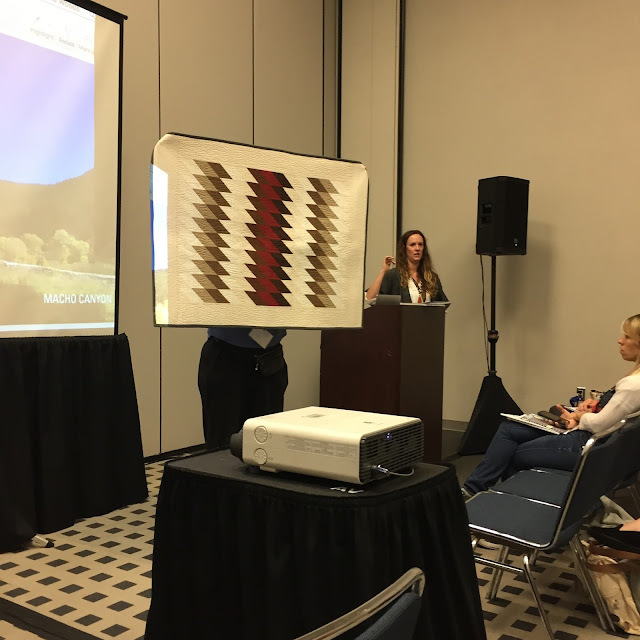 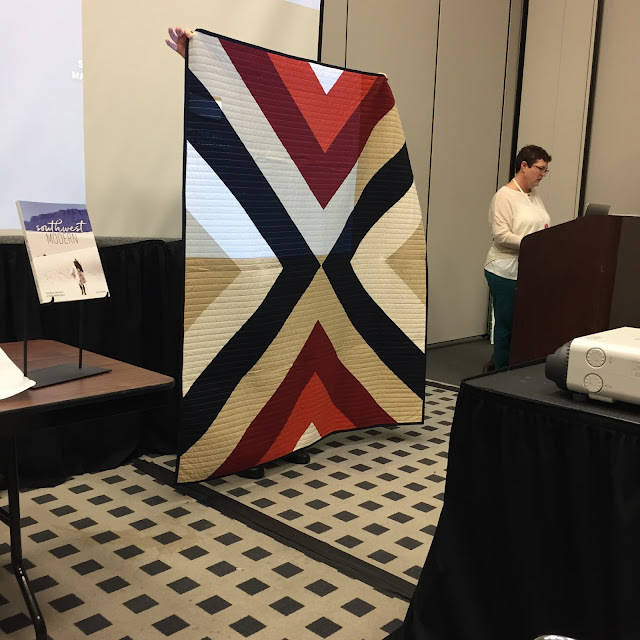 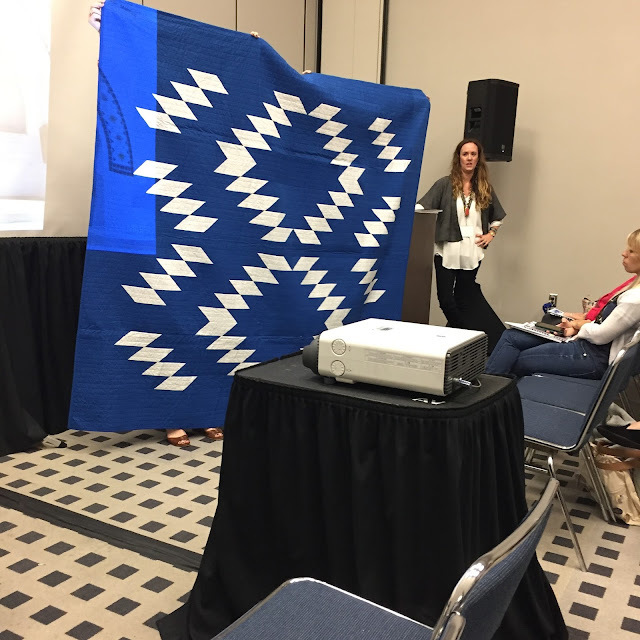 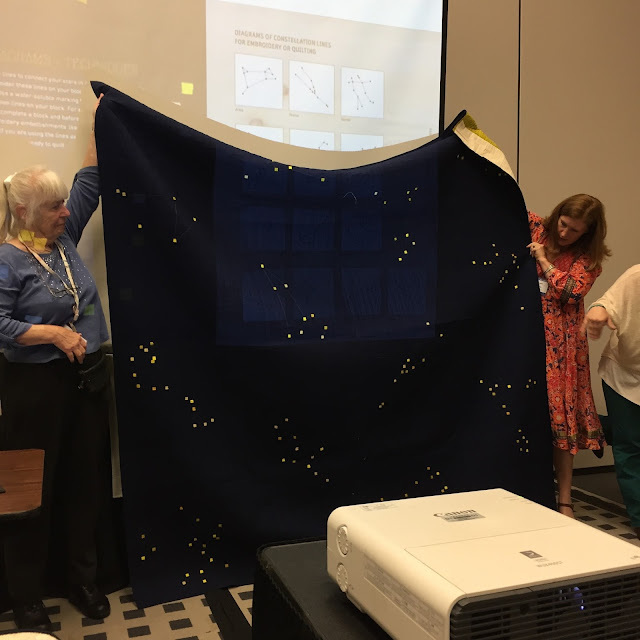 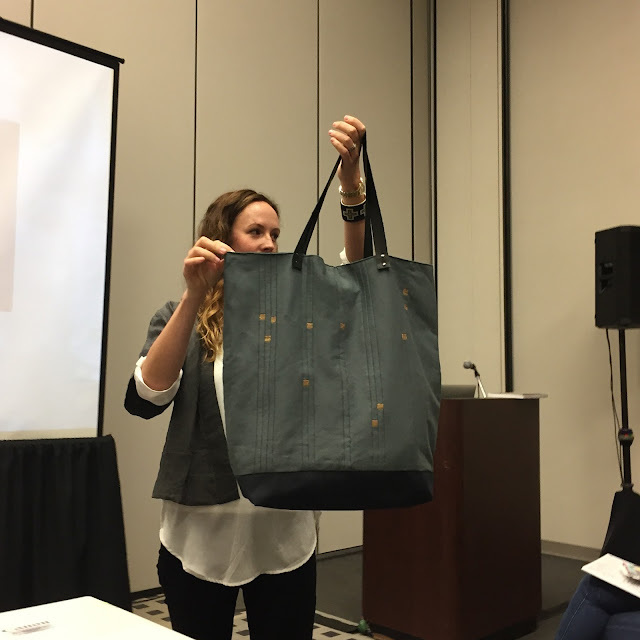 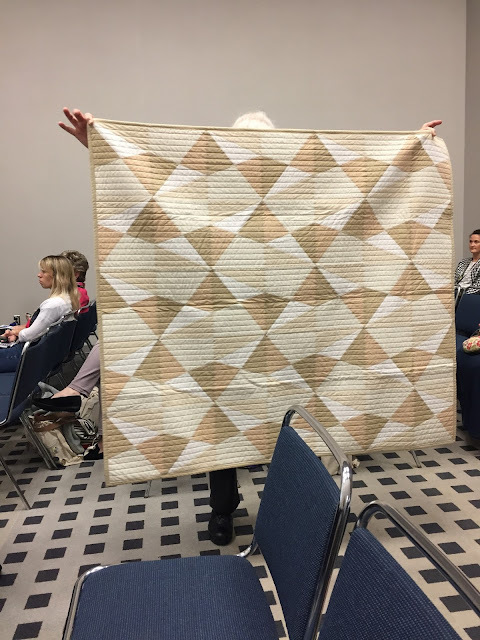 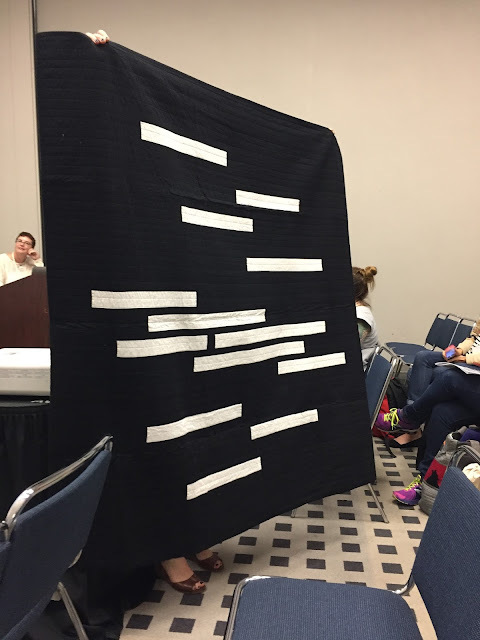 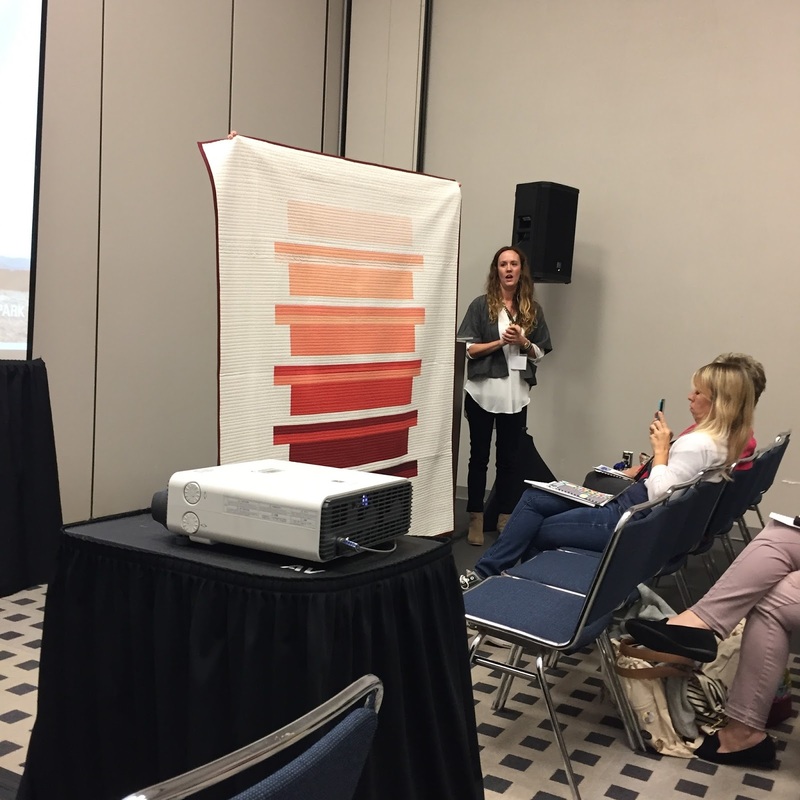 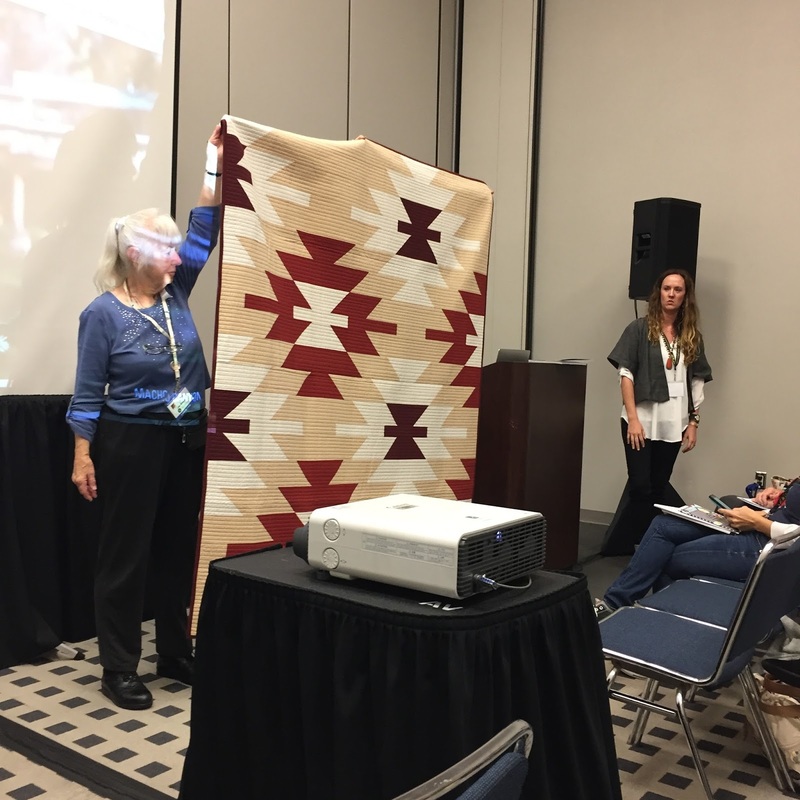 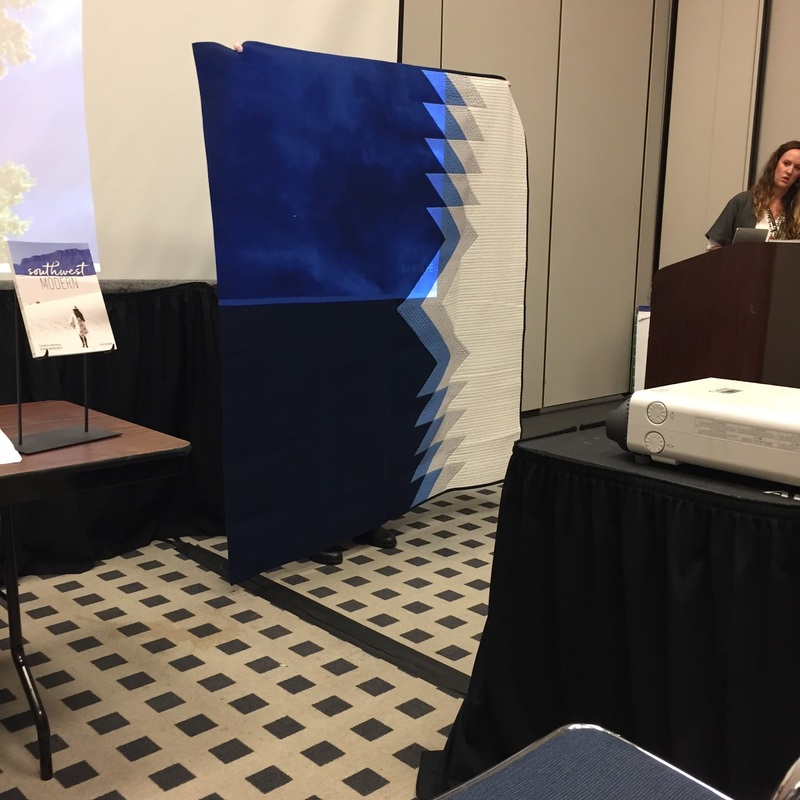 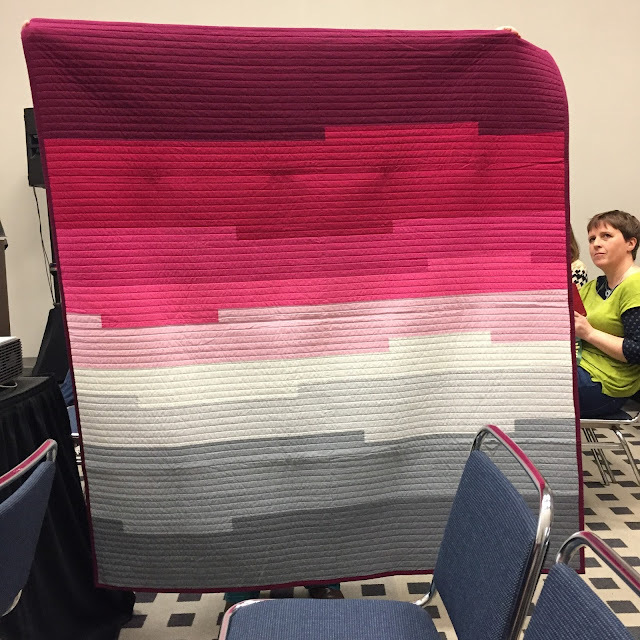 This year I attended a session that featured some of the projects from the new releases, Constellations by Fancy Tiger Crafts founders Amber Platzer Corcoran and Jaime Jennings and Southwest Modern by Kristi Schroeder of Initial K Studio. Constellations features patterns for the 12 astrological signs. 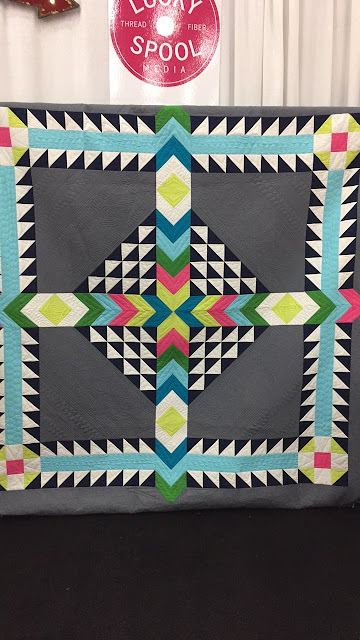 There are also patterns for other projects besides quilts. 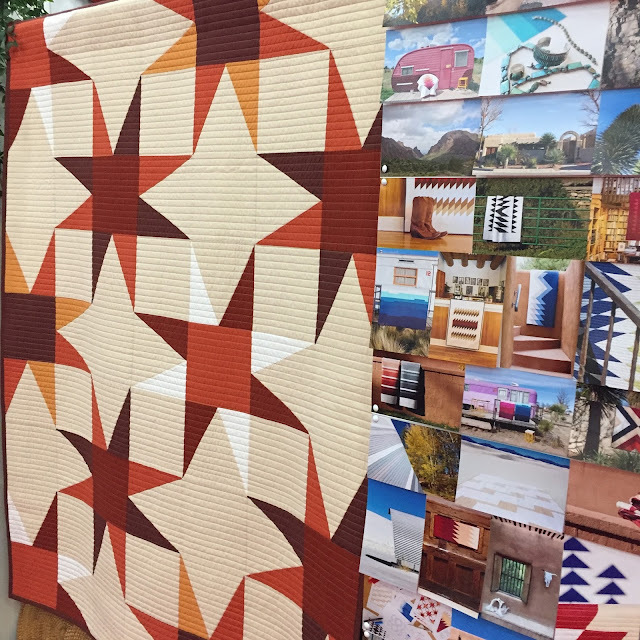 Southwest Modern features 18 quilts photographed on location and inspired by the colors and artistry of the southwest. 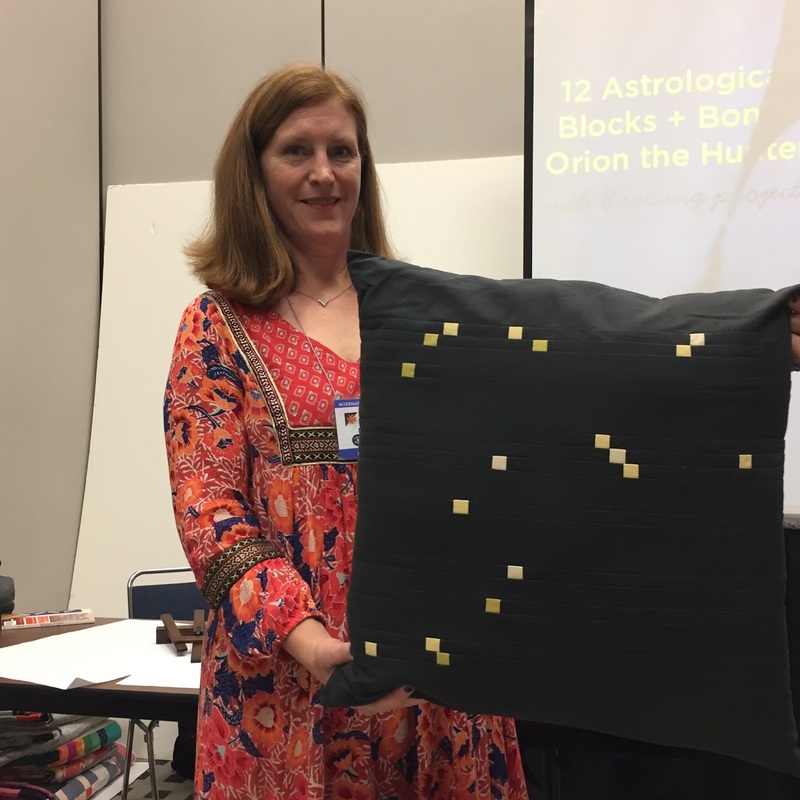 This text is a combination of travel guide and sewing book. 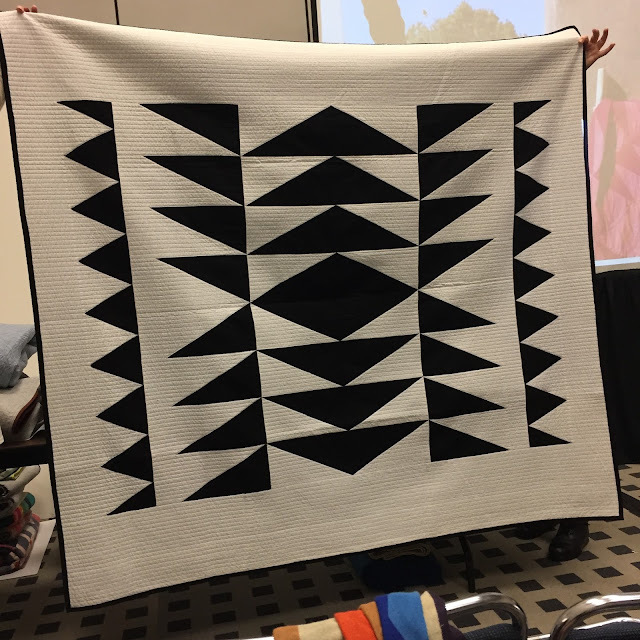 Piecing and quilting instructions are included, as well as travel advice including suggested places to eat, shop, and explore. I snapped a couple pics from Lucky Spool's booth on the show floor. These projects are from Make Your Own Medallion. You may recognize this one from above, as it is from Southwest Modern. What new quilt book releases are you most excited about? If you make a project from these books, I'd love if you'd include a link in the comments.